New standards cause educators to sit up and take notice. The release of the National School Library Standards for Students, School Librarians, and School Libraries (ALA 2017) at the #AASL17 conference has created a treasure trove of resources to support practicing and preservice school librarians, school librarian supervisors, and school librarian educators in studying and adopting the standards. 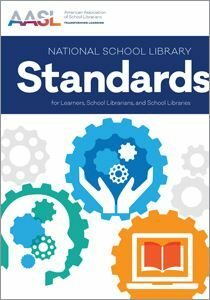 As a member of the School Library Connection (SLC) Editorial Board and a regular contributor to the magazine, I was asked along with others to give my initial reaction to the new standards. The following are just some of the resources that can help you learn more about the standards and consider how they can help you move your practice of school librarianship forward. Mary Keeling provides background and vocabulary information to help you navigate the new standards. Kathryn Roots Lewis and Sara Kelly Johns share strategies for sharing the new standards and a suggestion for aligning your work with your administrators. Daniella Smith provides a list of features that she appreciates in the new standards. Peggy George, Susie Highly, and Jane Loften created a #notataasl Livebinder with information about the new standards, including videos and Webinars. These are some questions you might use to frame your exploration of the new standards. 1. For #SchoolLibrarianLeadership blog readers who were familiar with the previous standards (Standards for the 21st-Century Learner 2009), what similarities and differences do you note between the 2009 common beliefs and standards and those in the new document? 2. For both seasoned and new school librarians, how do the new standards for students or for school librarians compare or align with other initiatives such as Future Ready Librarians or the International Society of Technology in Education (ISTE) Standards for Students and Standards for Educators? 3. What are the connections that you make between the priorities of your administrators and colleagues and the National School Library Standards? 4. How will you implement the new standards for school librarians and school libraries? If you have comments regarding the standards, I invite you to post them here. Those of us involved in the Lilead Project enjoyed one full and two half days of learning and networking before attending the AASL Beyond the Horizon Conference. Being face to face with the Westcoast Fellows, Claudia Mason, Debi Shultz, Janet Wile, Jenny Takeda, and Trish Henry is always a pleasure. I have learned so much with and from them, and we are less than half-way through our Lilead journey! I have also been fortunate to work closely with other Cohort 2 Lilead Fellows. Last week, I had the opportunity to contribute a post about the Lilead Project on the Texas Association of School Librarians TxASL Talks blog: “Lilead Fellows Program Holds Potential to Positively Influence Texas School Librarianship.” Go Texas Lilead Fellows! During our time together in Phoenix, the Lilead Project members shared the results of our Strengths-Finder Inventory (Rath 2008) and further explored our “WHYs” (Sinek, Mead, and Docker 2017). We also learned with and from a panel of school administrators and from Sean Lockwood, Senior Vice President of Sales at Junior Library Guild (@JrLibraryGuild). I was delighted that John Chrastka (@MrChrastka) and I shared a special affinity for one of our strengths: “maximizer.” We had the opportunity to talk about how that strength has played out in our professional lives thus far. When I first got the results of my Strengths-Finder, I was happy to see “maximize” in my top five. All four of my ALA Editions professional books have “maximizing” in the title, including my forthcoming Maximizing School Librarian Leadership: Building Connections for Learning and Advocacy. I also had the pleasure of sharing five professional life stories with Lilead Fellow Elissa Moritz (@ElissaMoritz), Library Media Services Supervisor, Loudoun County, Virginia. Together, we searched for themes in each other’s stories and further supported each other in refining our “whys.” (See my Find Your Why blog post.) I tweeted during the administrator panel so I have already published my takeaways from their presentation. 1. Correctly identifying your customer. 2. Understanding your customer’s view. 3. Aligning your value proposition. 4. Following a pre-determined process. 5. Delivering more than you promise. The value proposition was a new concept for me. Sean showed us and explained a matrix that identified a series of values and aligned them with the customer’s issues, the advantages the new product offers the customer, and the significance of the outcome from the customer’s perspective. I have been pondering “sales success” in terms of my forthcoming book. Rather than selling a “product” per say, I am definitely putting forth a strategy for school librarian leadership. I am not yet ready to complete the value proposition document in terms of my book, but I am thinking (hard) on it! I am also thinking about the connections between what we traditionally refer to as advocacy and sales. Hmmmmm…. Besides that piece, I resonated with the final step: Delivering more than you promise. Promising less and delivering more sounds like a trust and confidence-building proposition that could be applied with good results in any area of our lives. Thank you to the Lilead Project Team, all of the Fellows, and our special guests for making my/our Lilead learning impactful. Rath, Tom. 2008. Strengths-based Leadership: Great Leaders, Teams, and Why People Follow. New York: Gallup. The release of the new AASL National School Library Standards created an extra buzz to the energy at the conference. As always, it was wonderful to see long-time friends and colleagues and make new school librarian colleagues from across the country. I had the added pleasure of reconnecting face to face with one of my former high school principals (@AZHSPRIN), who is a rock star school librarian advocate. I also reconnected with Cecilia Barber, one of my former graduate students from the University of Arizona, who is serving as a school librarian in her tribal community in Shiprock, New Mexico; it’s gratifying to know the positive impact she is making. I also met Dr. Karen Reed who used my coteaching reading comprehension work in her dissertation and presented a session on Friday that included that work. These are just a few of my conference takeaways. Jaime Casap’s keynote on Thursday was one of the highlights of my professional learning. Jaime (@jcasap) is the Chief Education Evangelist at Google, Inc. If you were unable to attend Jaime’s keynote or did not attend the conference, check out his YouTube and TEDx Talk videos. In addition to Andy’s report, there were two comments that Jaime made that really struck a chord with me. He noted that it is essential that we change the paradigm of teaching from a “solo sport” to a collaborative one. We know it takes teams of educators working together to keep schooling relevant and dynamic for today’s students. I totally agree and understand that in many ways, it is easier to work with students than with our adult colleagues. This presents a leadership opportunity for school librarians. I believe that we have a key role to play in creating a high-impact collaborative culture in our schools through coplanning, coteaching, and coassessing learning. At the end of his talk, Jaime said this (and this is a direct quote to the best of my memory): “At the end of the day, the most important person in the classroom (or maybe he said ‘school’) is…” He then he paused. While I “heard” 90% (or more) of the school librarians in the room thinking “the student,” I immediately thought of Ken Haycock’s words related to this perspective. But that is not what I heard. I heard the classroom teacher. I heard yet another call to action for school librarians to be leaders who build capacity by collaborating with our colleagues to improve classroom teachers’ and our own craft of teaching. Here’s what Ken Haycock said, “Whom do you serve? Most (school librarians) would answer students, yet the primary clientele in terms of power, impact, and effect would be teachers” (2017, 3). 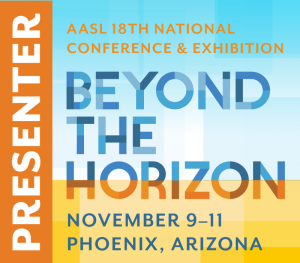 School librarians who were fortunate to attend #AASL17 in Phoenix and learn with and from colleagues have an obligation to take their learning home. Share what you learned with your administrators, classroom teachers, and school librarian colleagues. Discuss the ideas and strategies that were part of your conference learning. School librarians demonstrate leadership and added value when we work collaboratively with other educators to help them solve their instructional challenges and when we work together to help students meet their learning needs. For school librarians, “collaboration is the single professional behavior that most affects student achievement” (2007, 32). What did you take away from the conference? I invite you to share here on the School Librarian Leadership blog. Note: I have uploaded the slides and handout from “Investing in Social Capital Counts” on the session wiki. Haycock, Ken. 2007. Collaboration: Critical Success Factors for Student Learning. School Libraries Worldwide 13 (1): 25-35. _____. 2017. Leadership from the Middle: Building Influence for Change. In The Many Faces of School Library Leadership, 2nd ed., ed. Sharon Coatney and Violet H. Harada, 1-12. Santa Barbara, CA: Libraries Unlimited. is coming to Phoenix! The AASL National Conference & Exhibition is held every other year in locations around the U.S. This year the conference will be held from November 9th – 11th. It will bring about 4,000 members of our profession, authors, vendors, and school library advocates to the Grand Canyon State. AASL conferences are exemplary professional learning opportunities for school librarians, school librarian supervisors, school administrators, and others who are committed to preparing preK-12 students for their future. School librarianship has always been a dynamic profession. But with more pressure on educators to prepare future-ready students, the increasing spread of information and misinformation, and the proliferation of technology resources and devices, school librarians and effective school library programs are needed now more than ever. One-hour concurrent sessions are the backbone of AASL conferences. Check out the schedule of opportunities to learn from colleagues from across the country and link to “concurrent sessions” at various times throughout the conference. On Friday, November 10th, from 10:00 to 11:00 a.m., I will be part of a panel presentation: “Leadership: Many Roles for School Librarians.” The presenters are the editors and five of the chapter authors from The Many Faces of School Library Leadership (ABC-CLIO 2017): Sharon Coatney, Vi Harada, Debbie Abilock, Helen Adams, Kristin Fontichiaro, Deb Levitov, and yours truly. We will share further ideas from the book in room North 125A. If you are attending the conference, please consider joining me at either one or both of these sessions. If you are unable to attend Saturday’s session, you can find out more information on the Web at: Investing In Social Capital Counts. 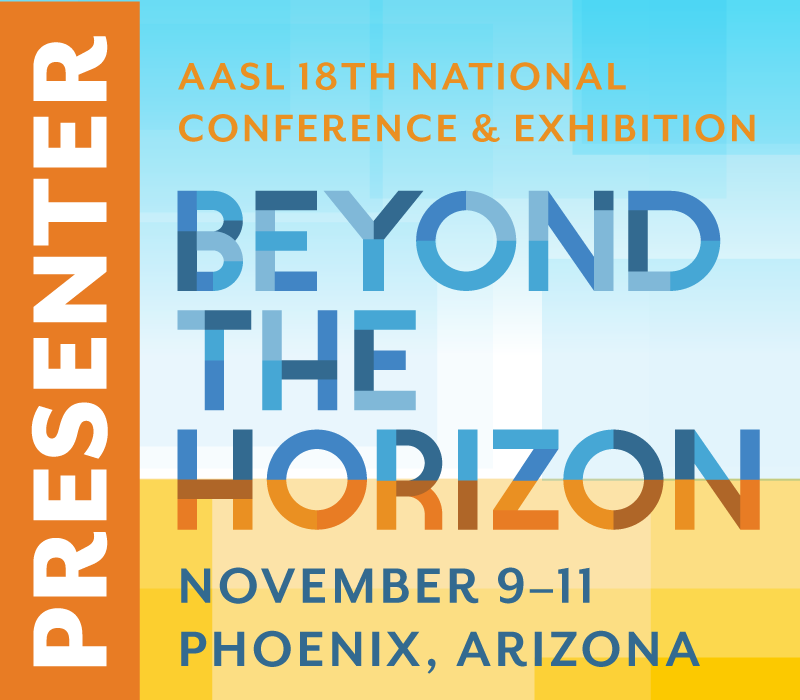 And if you are not able to make the trip to Phoenix, follow the conference on Twitter: #AASL17. If you are a national colleague, join me in my commitment to continually improve my practice of librarianship. In addition, if you live in Arizona, please work with me to restore school library programs in our state. Both commitments are for the benefit of our students, educators, families, communities, and nation.